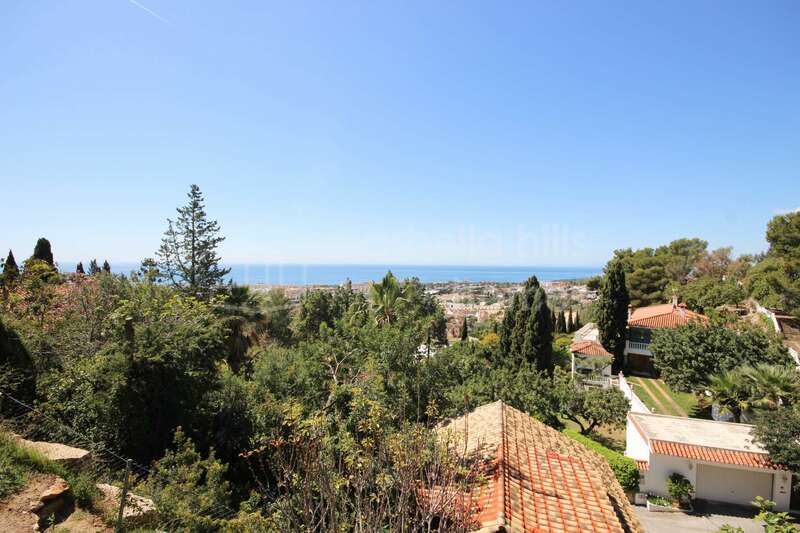 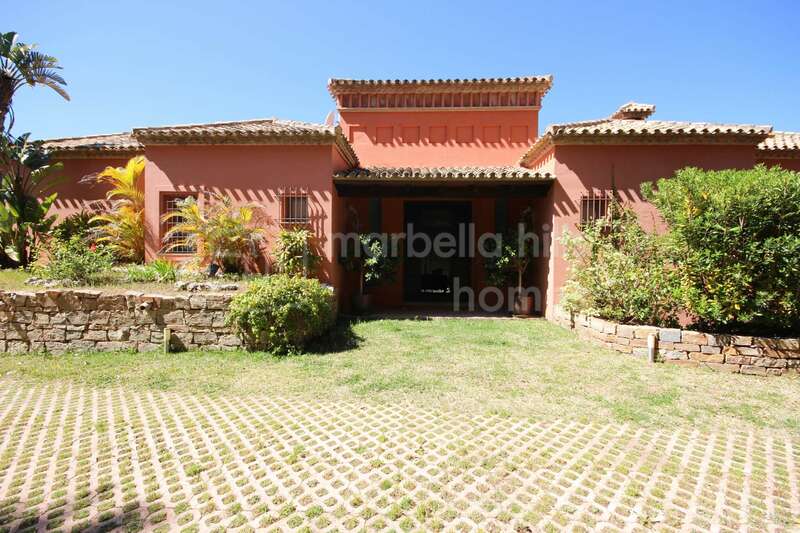 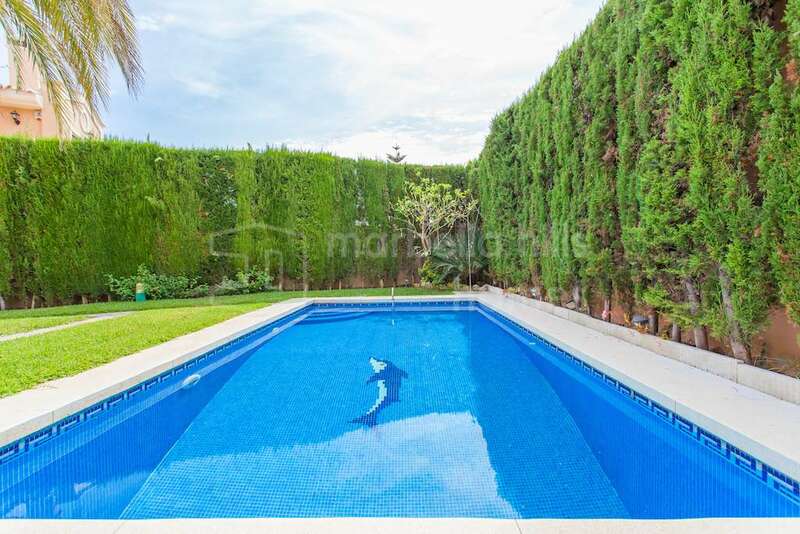 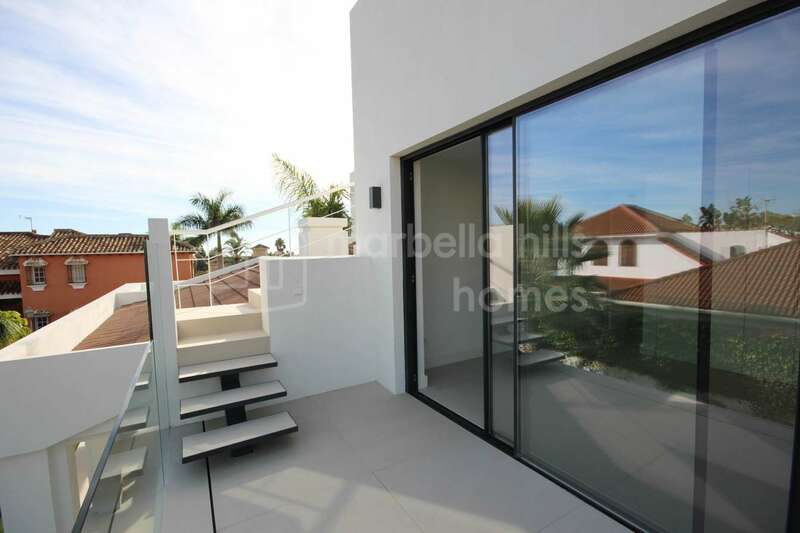 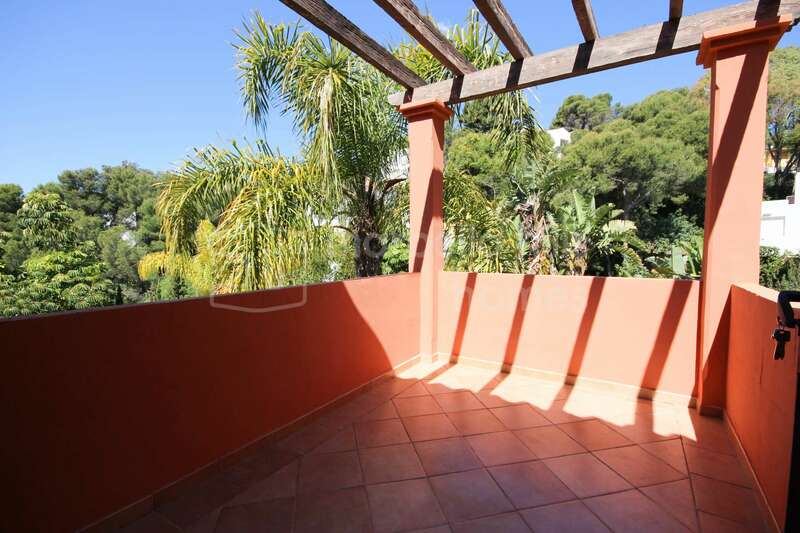 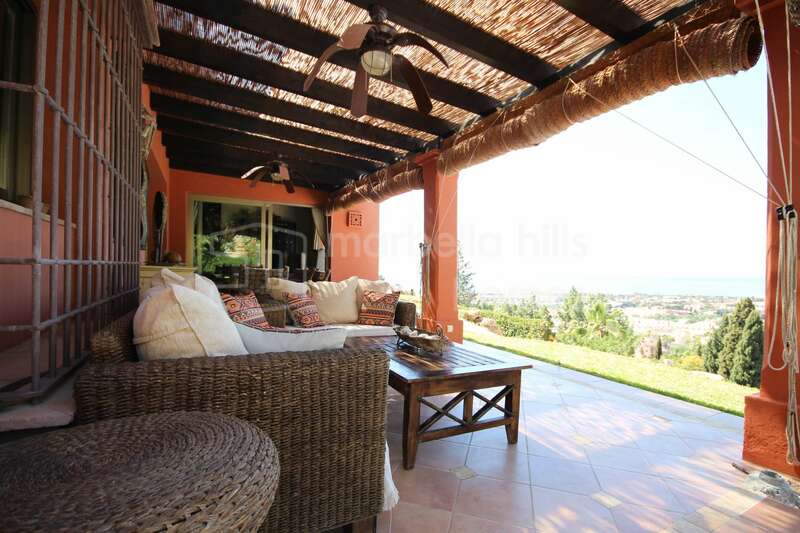 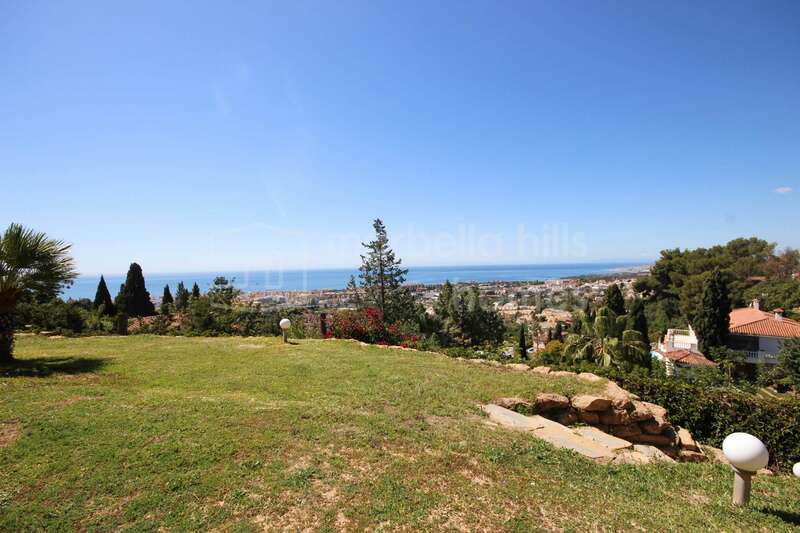 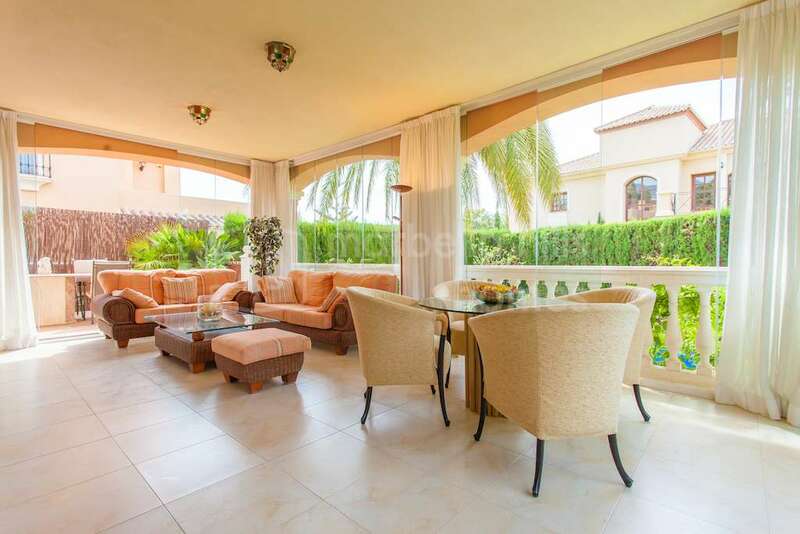 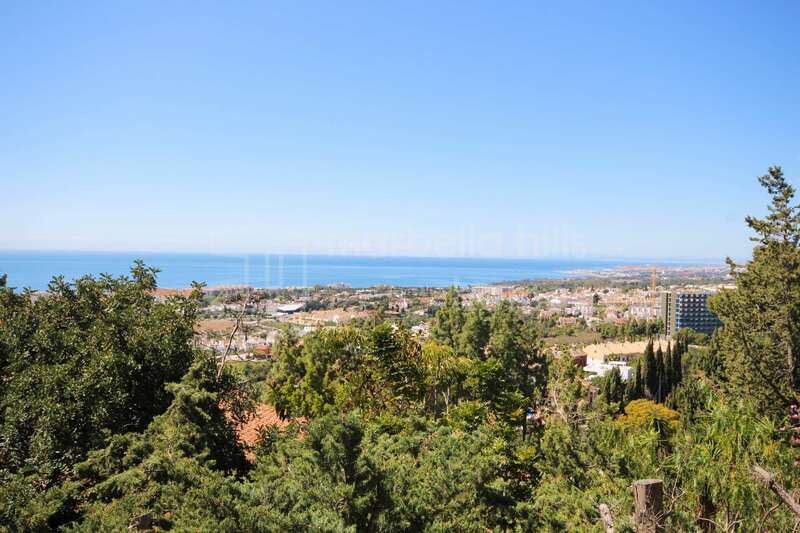 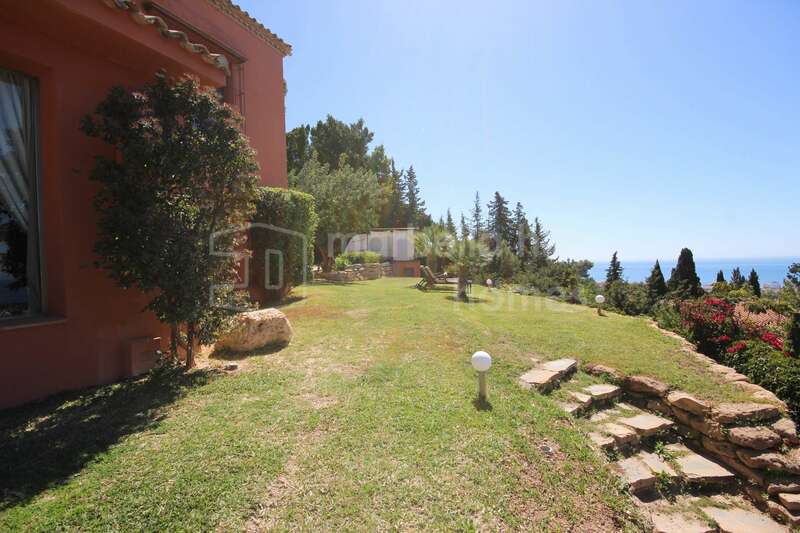 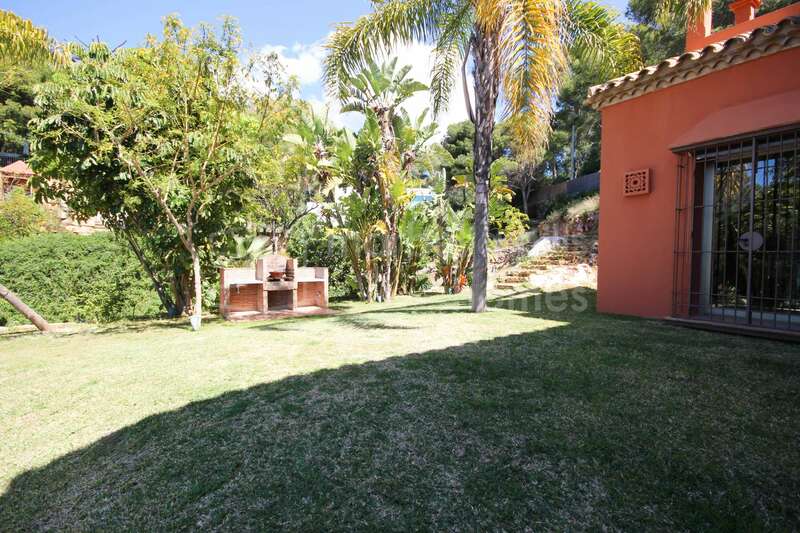 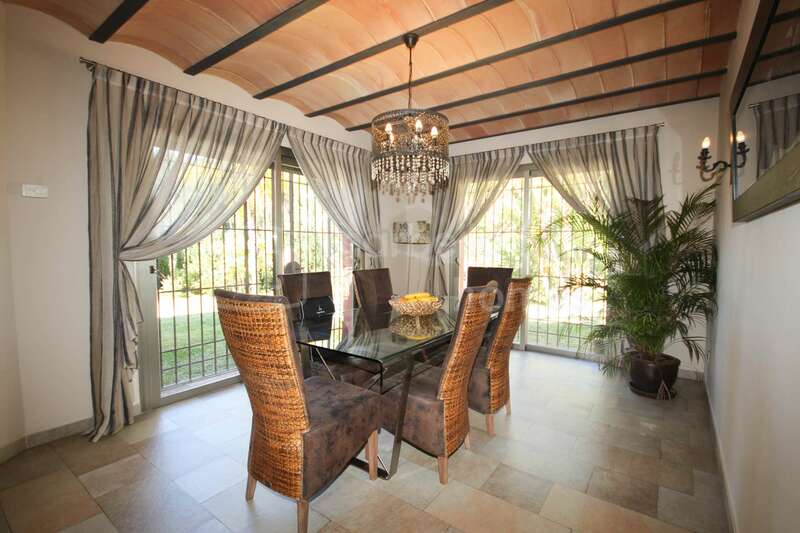 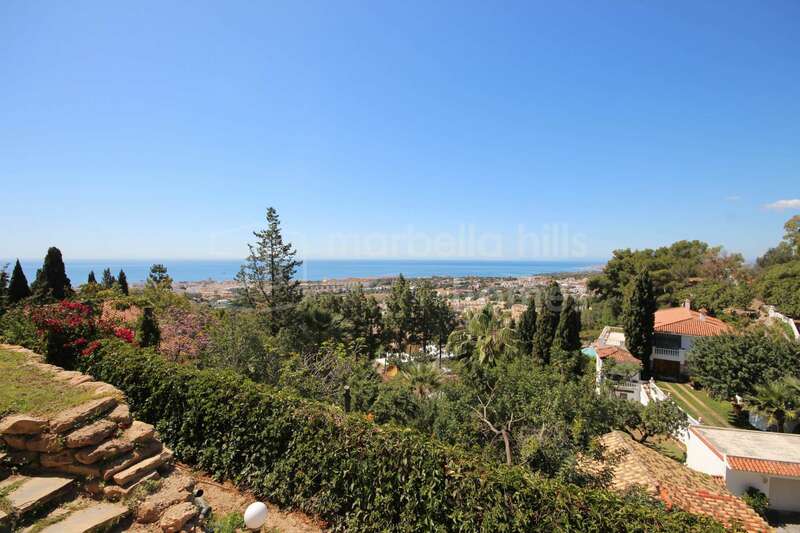 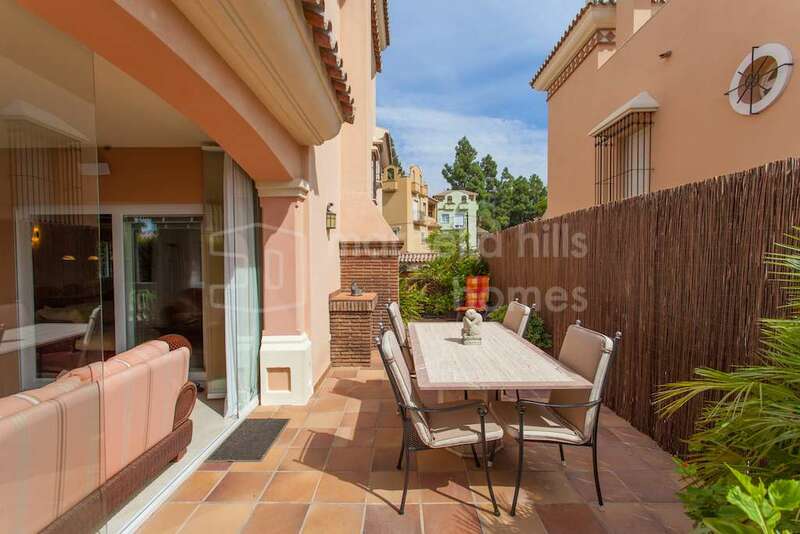 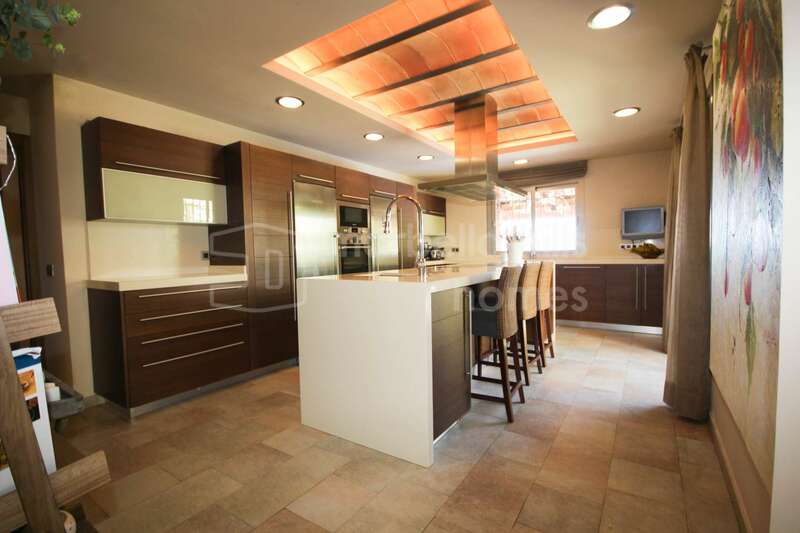 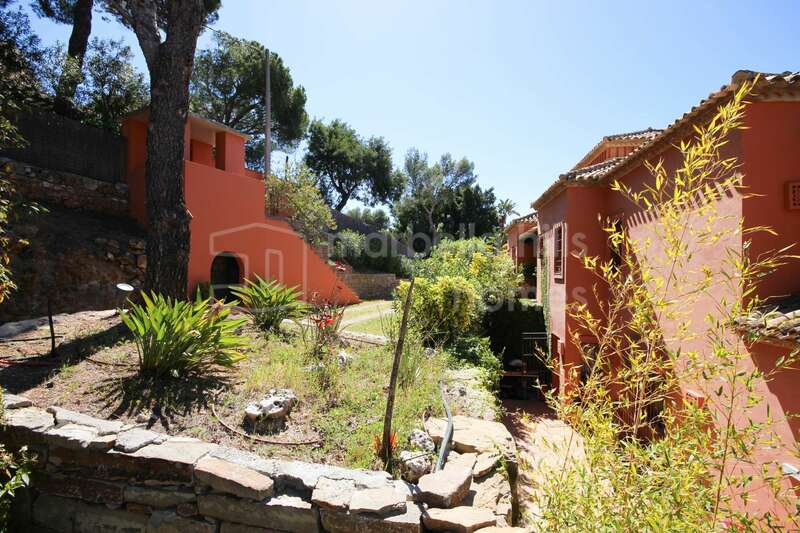 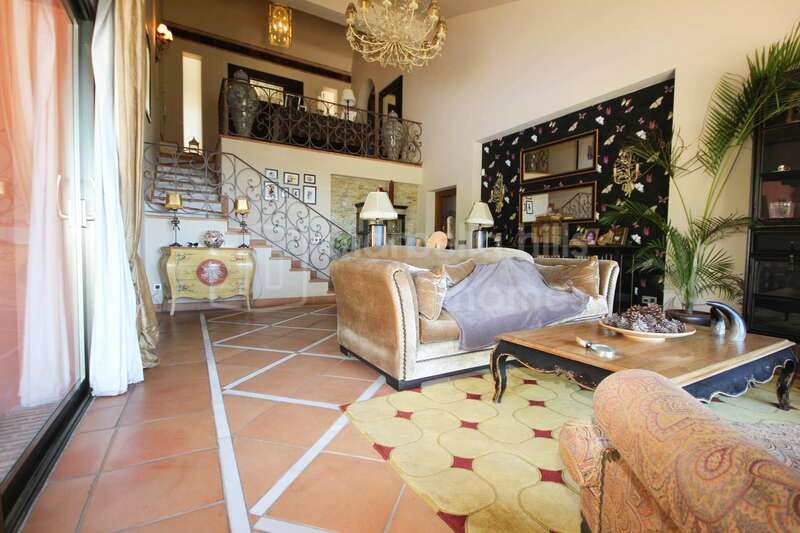 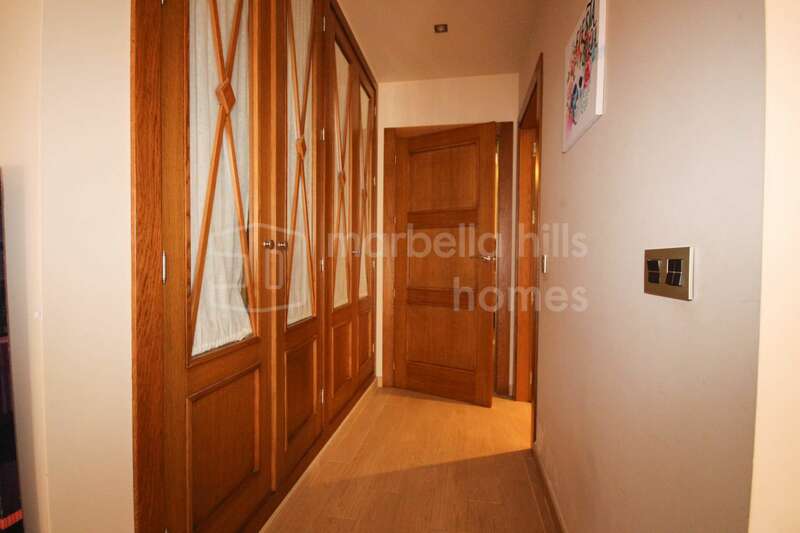 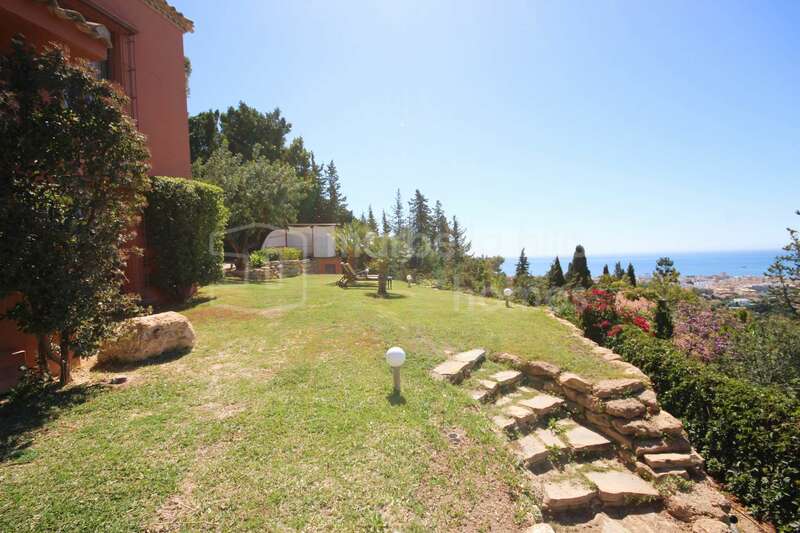 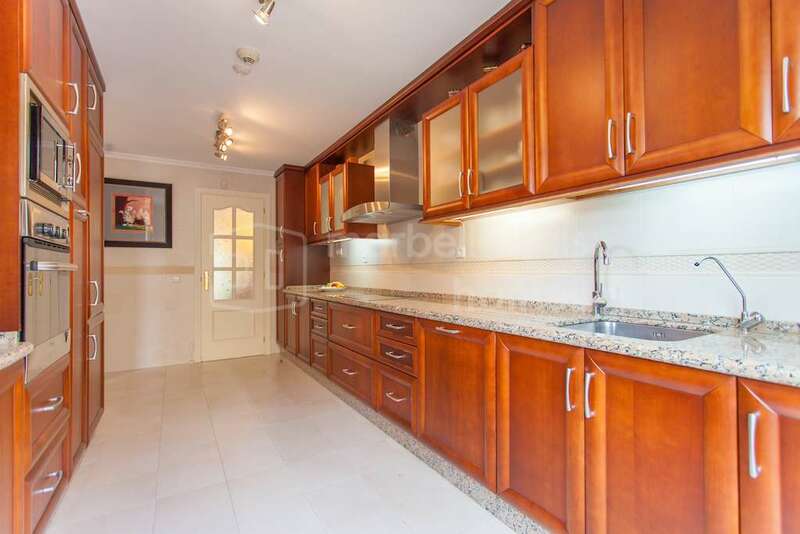 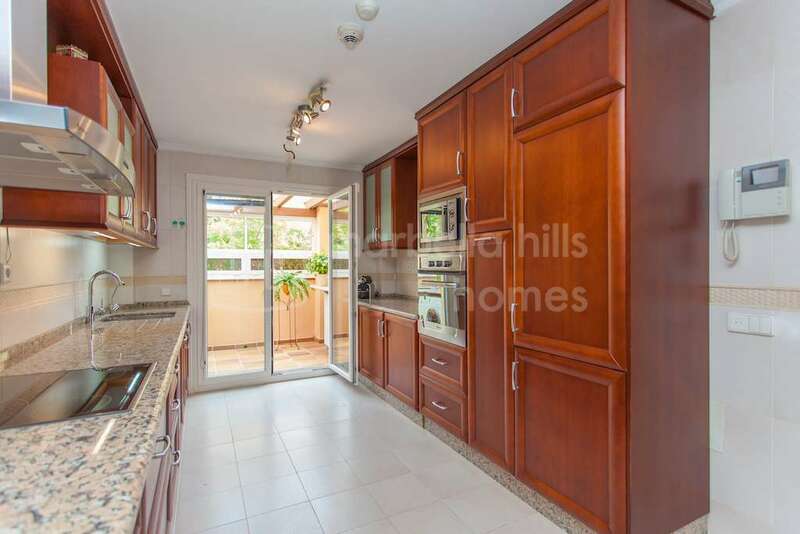 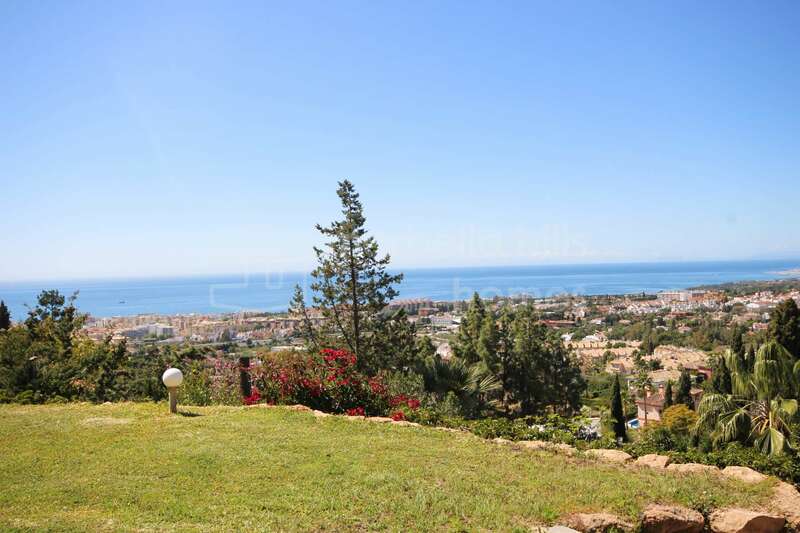 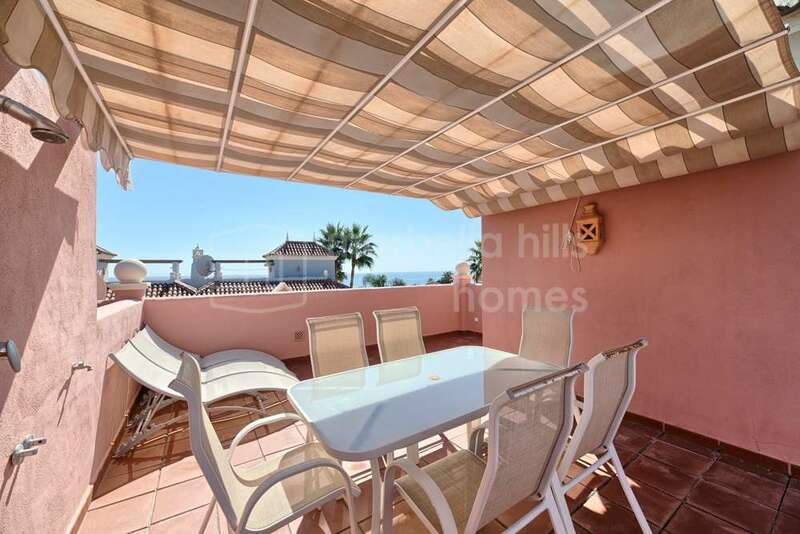 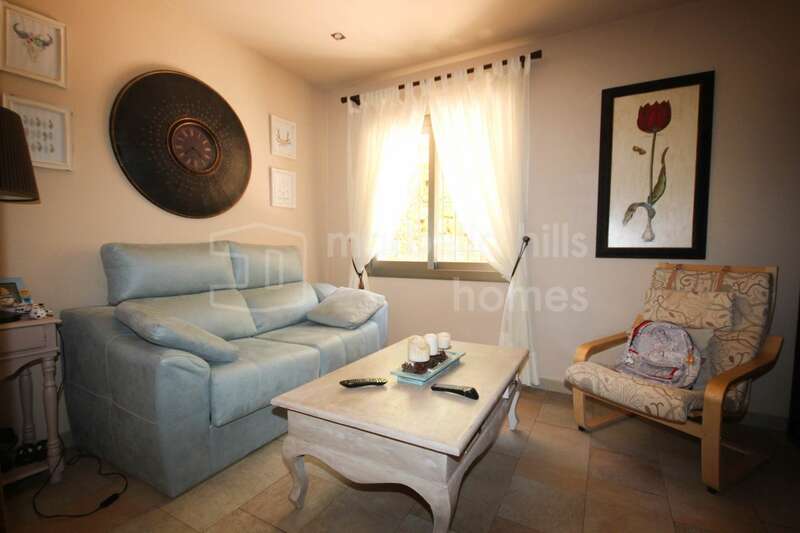 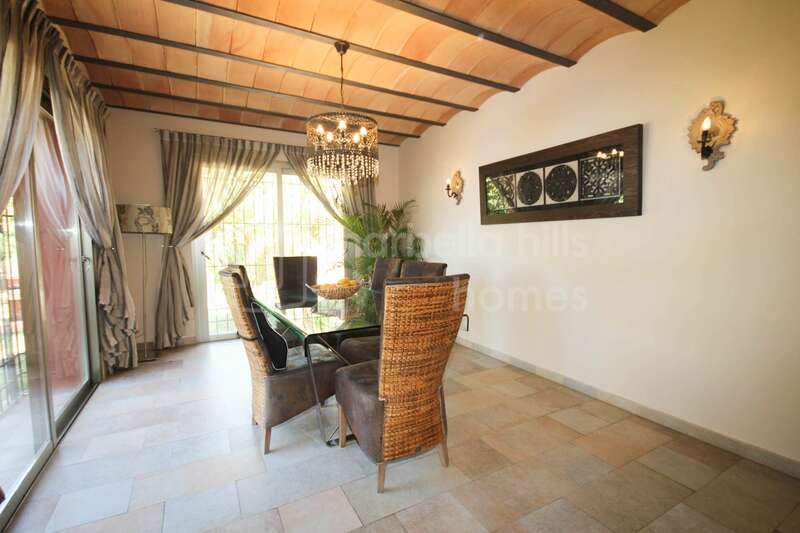 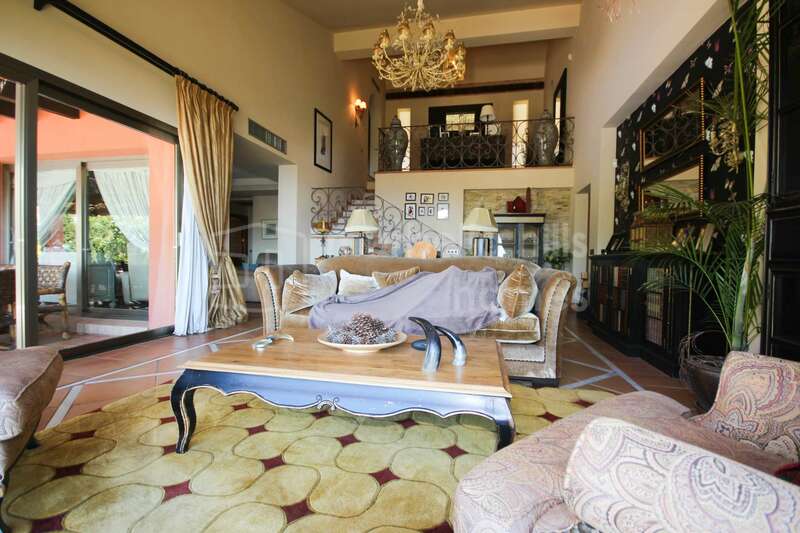 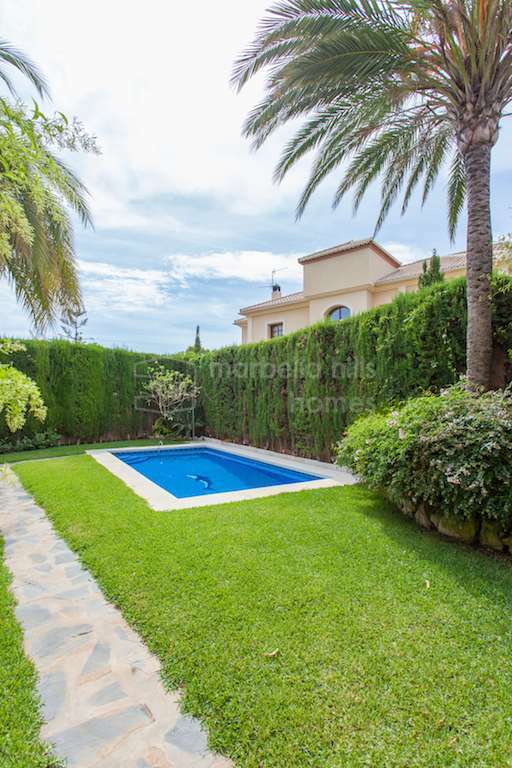 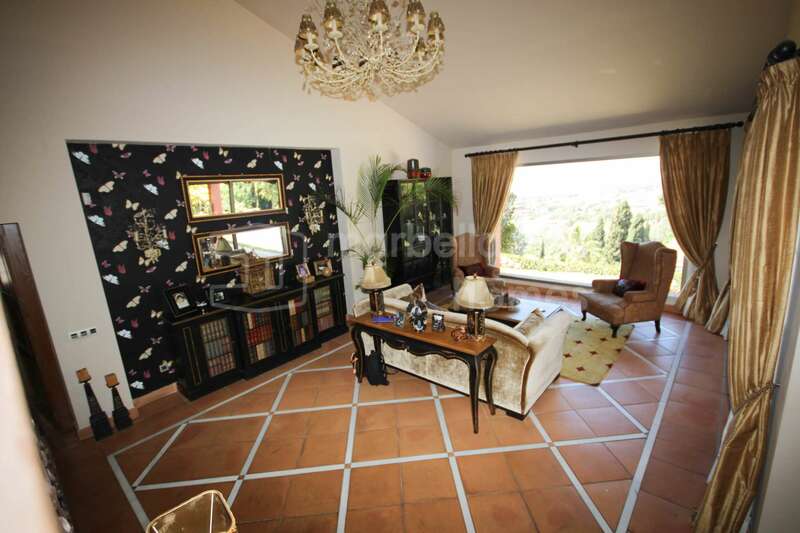 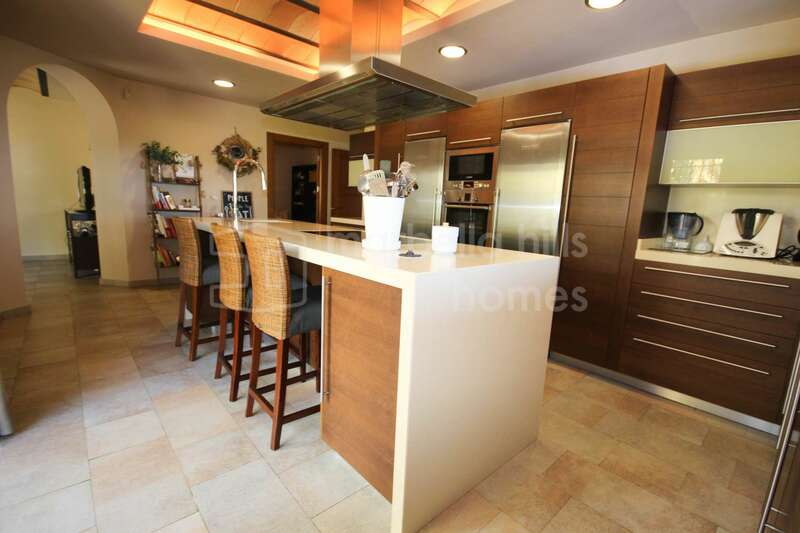 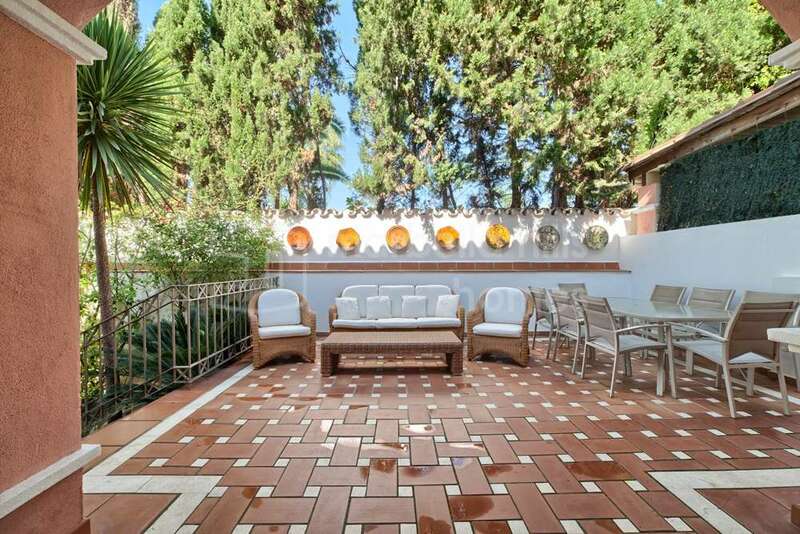 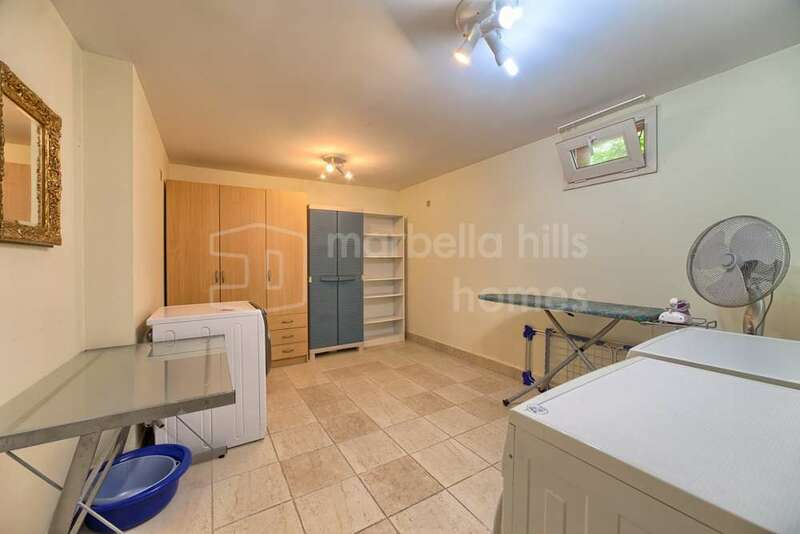 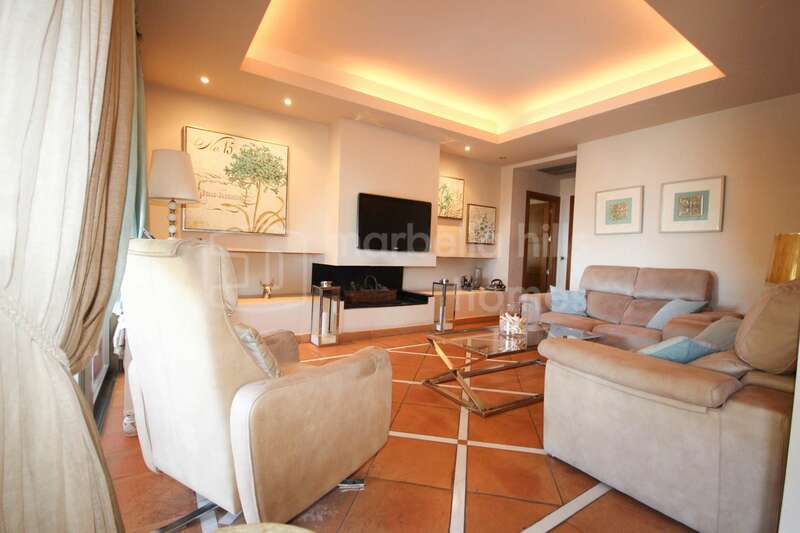 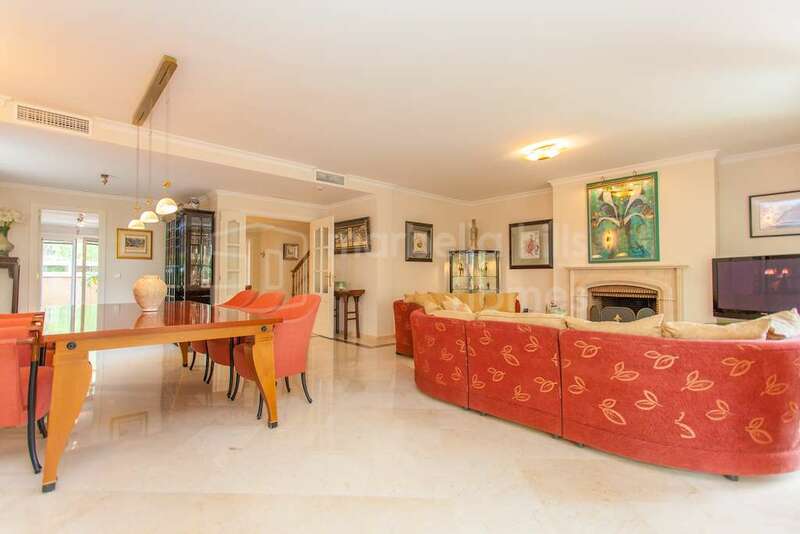 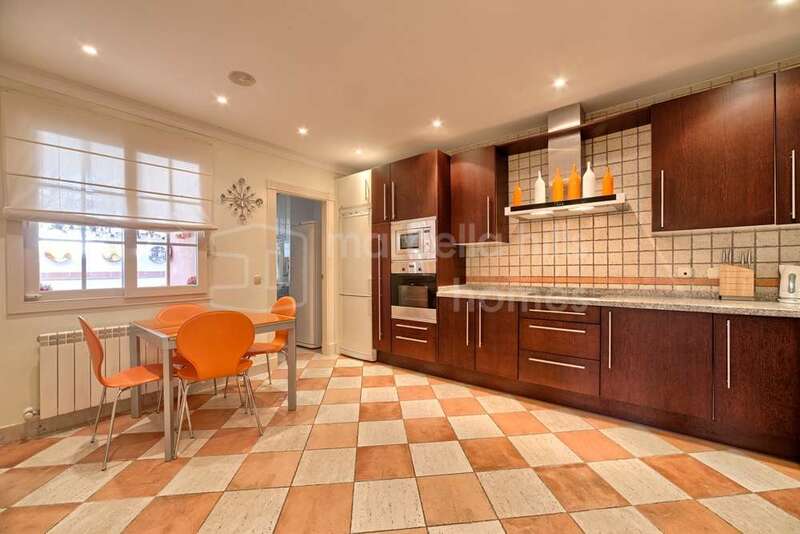 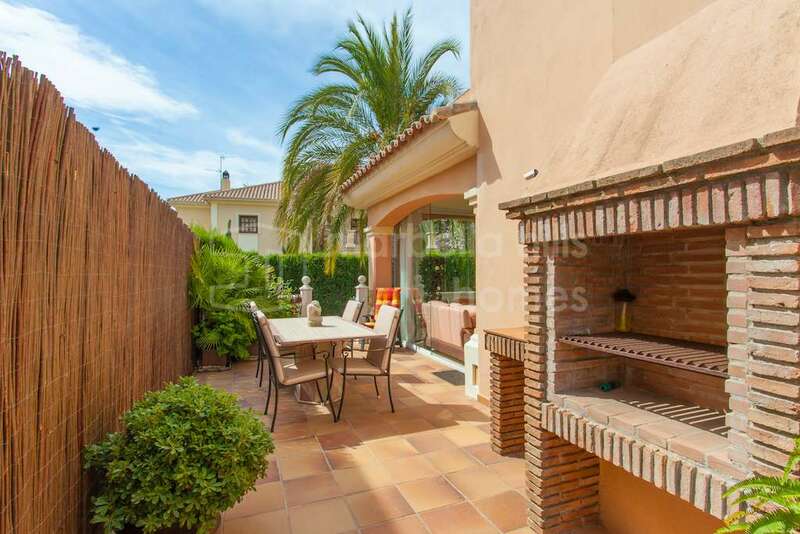 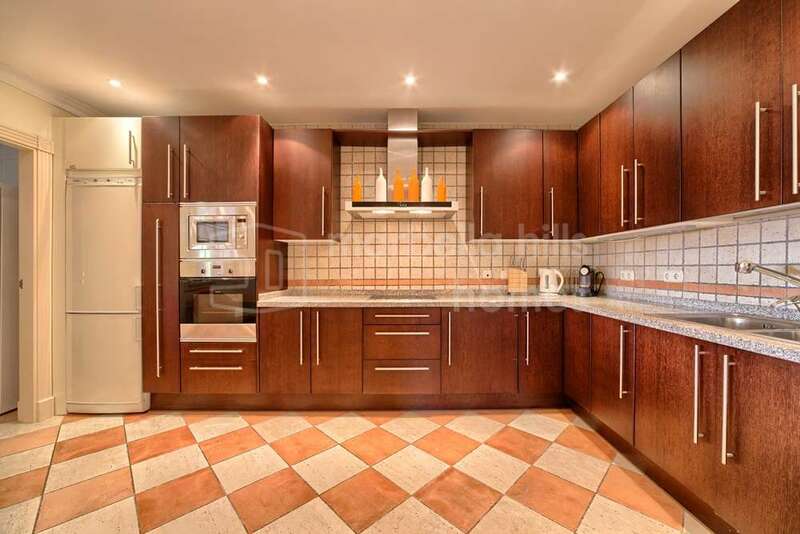 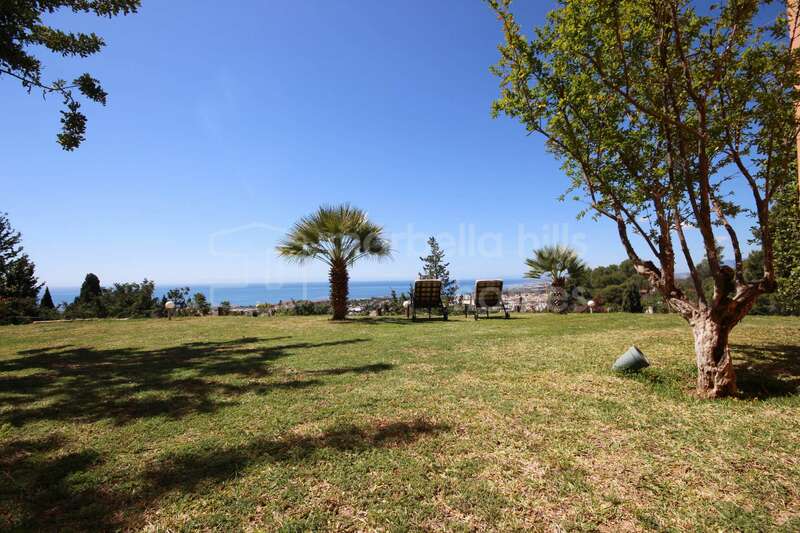 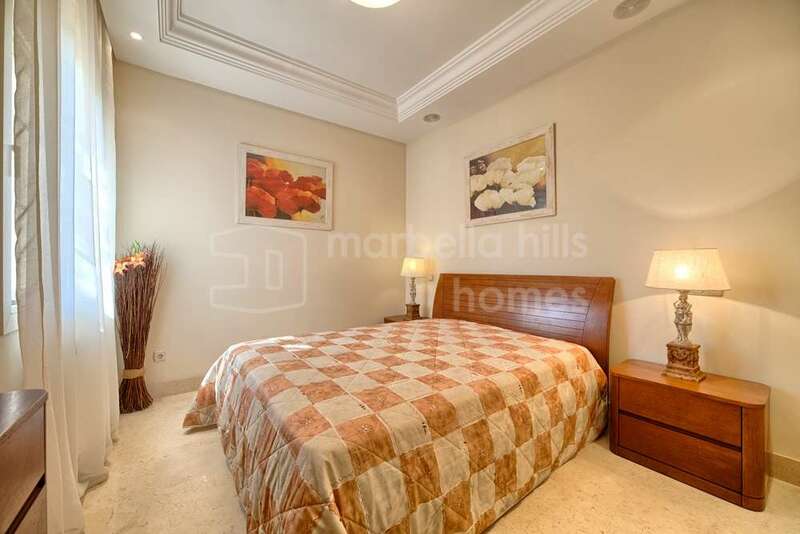 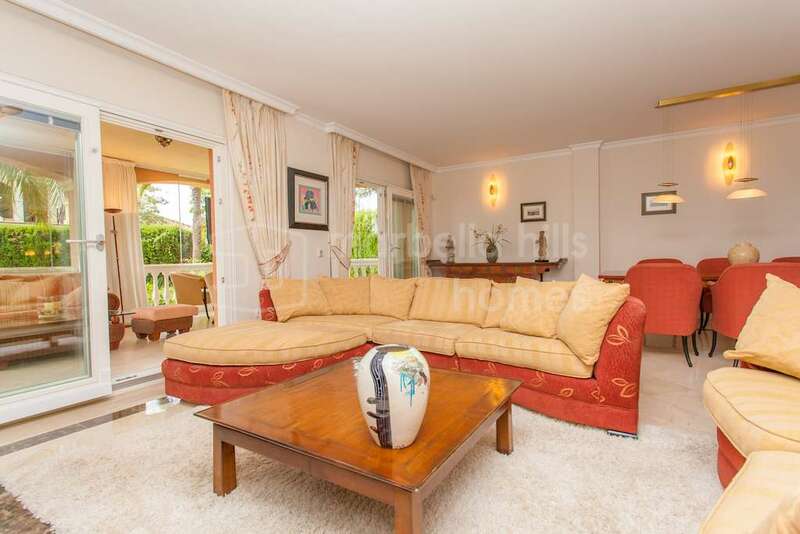 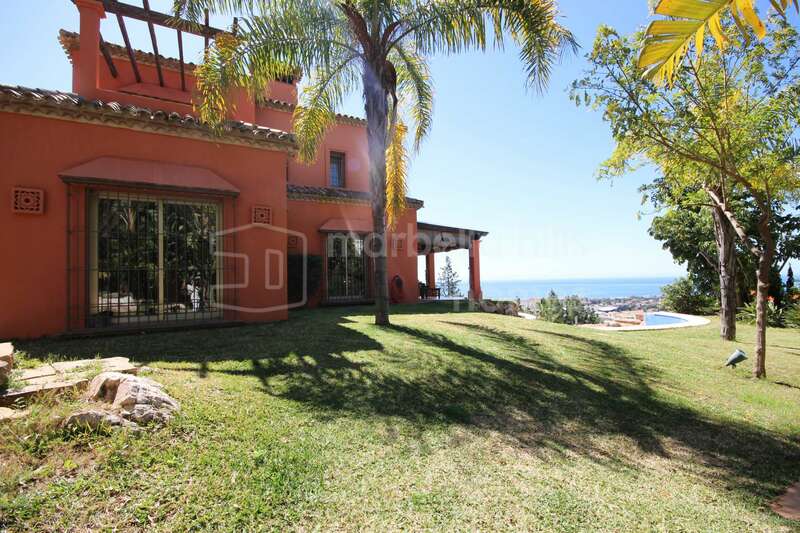 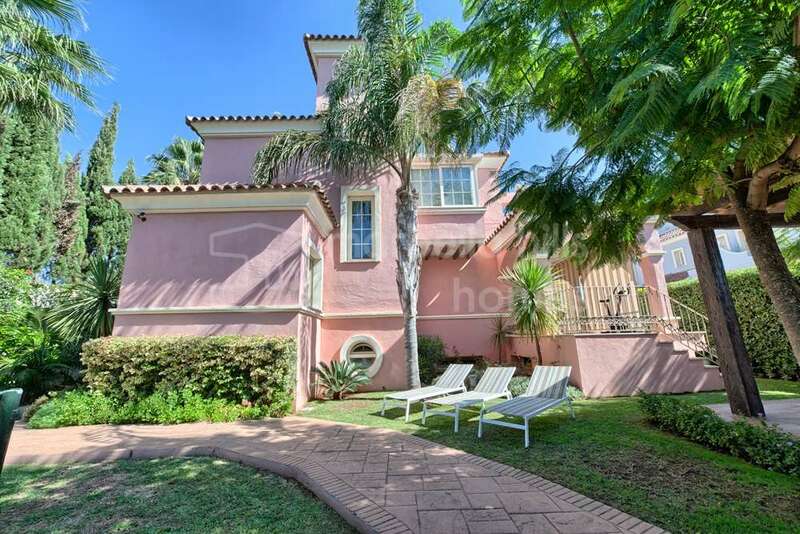 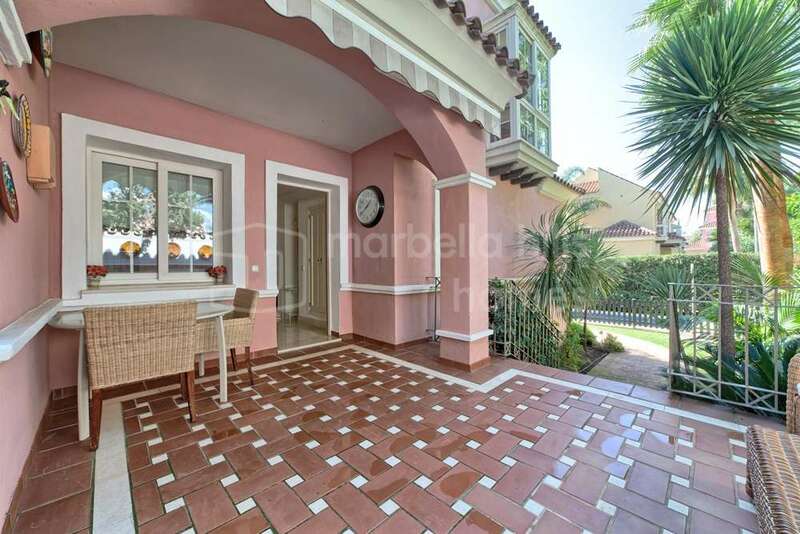 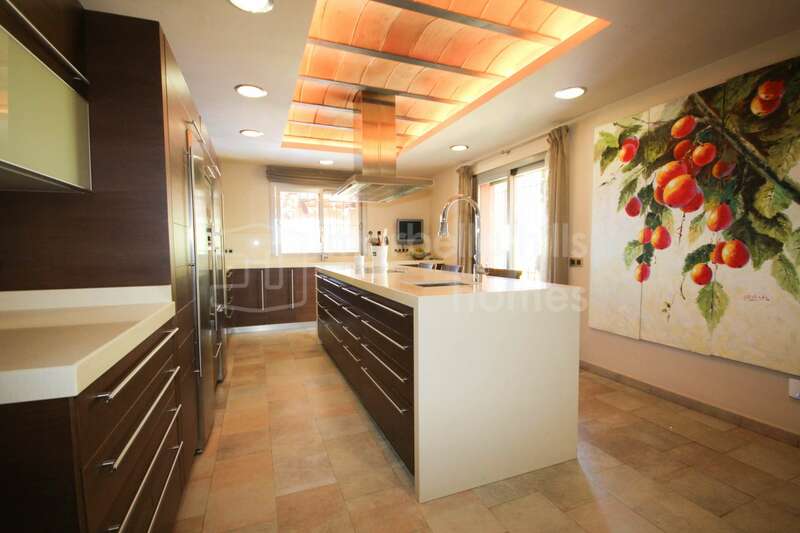 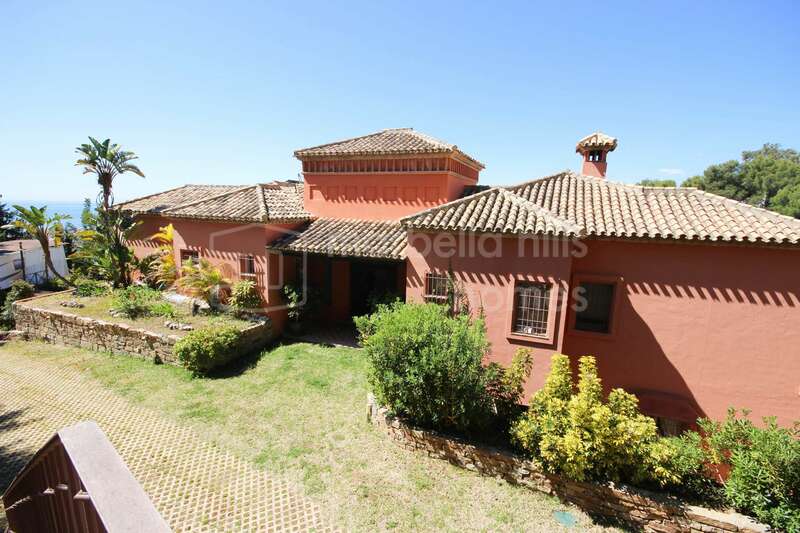 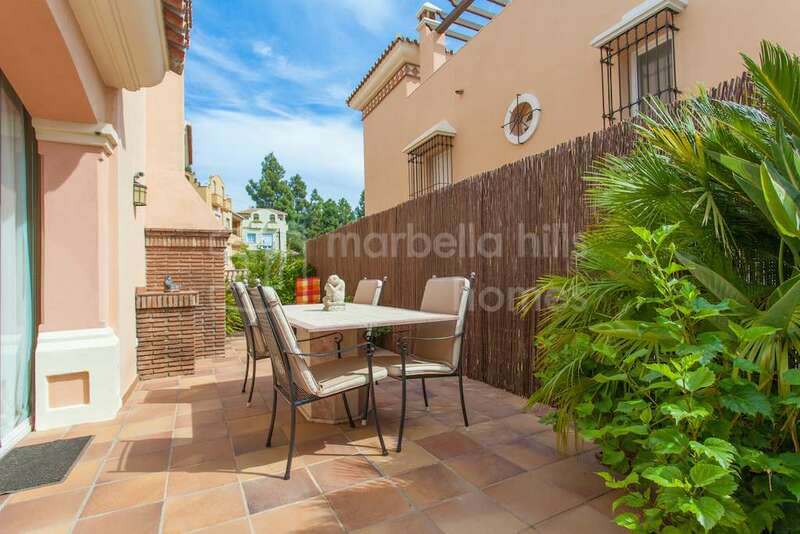 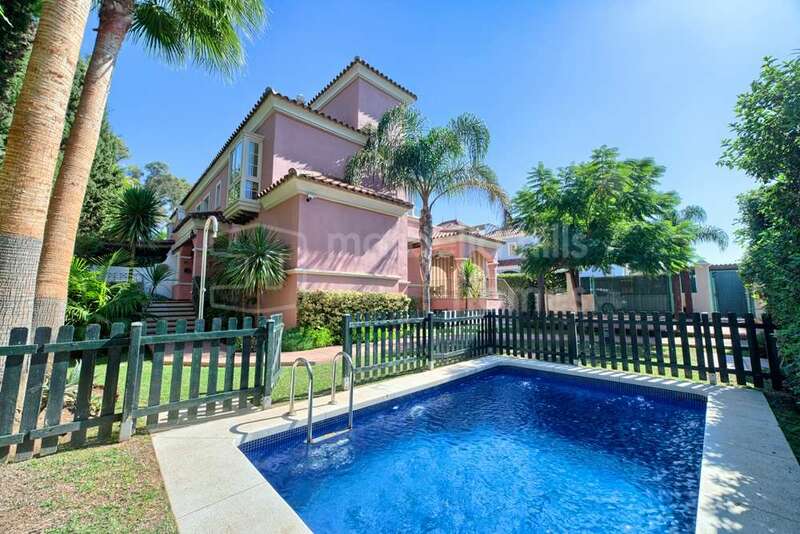 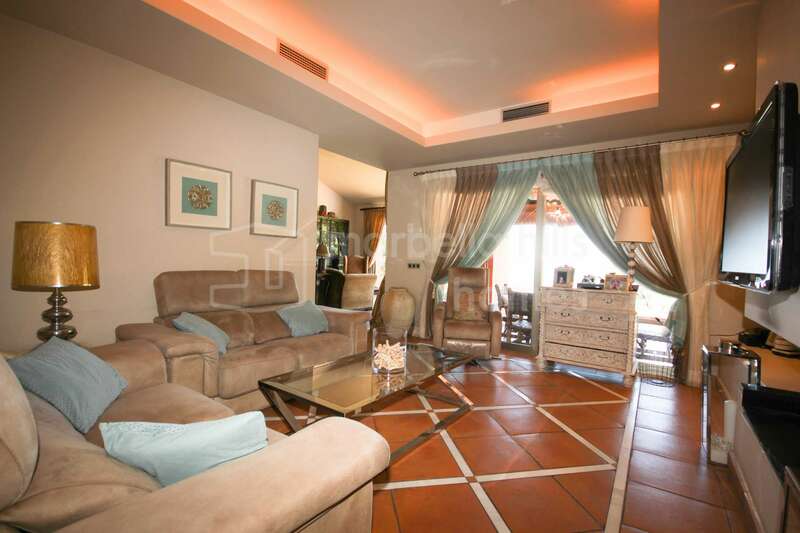 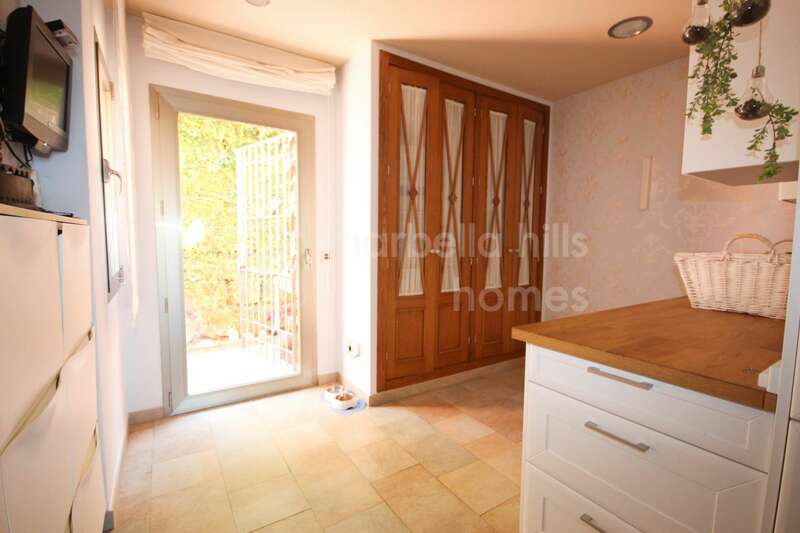 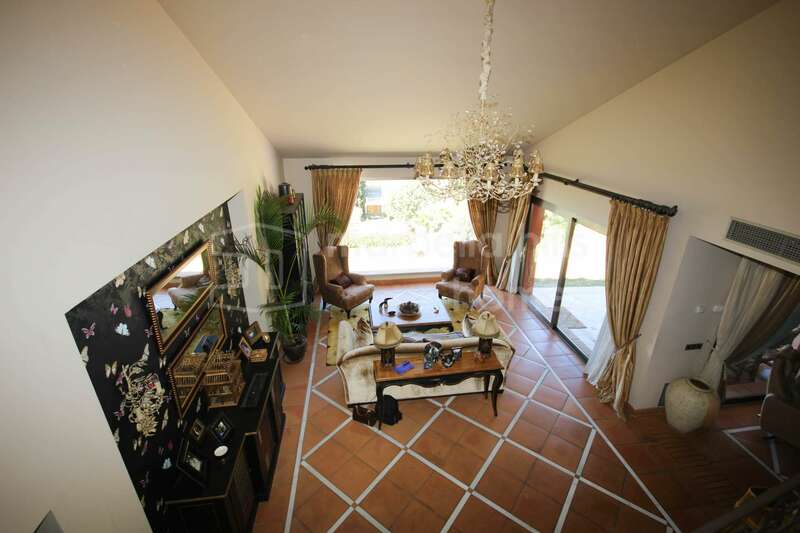 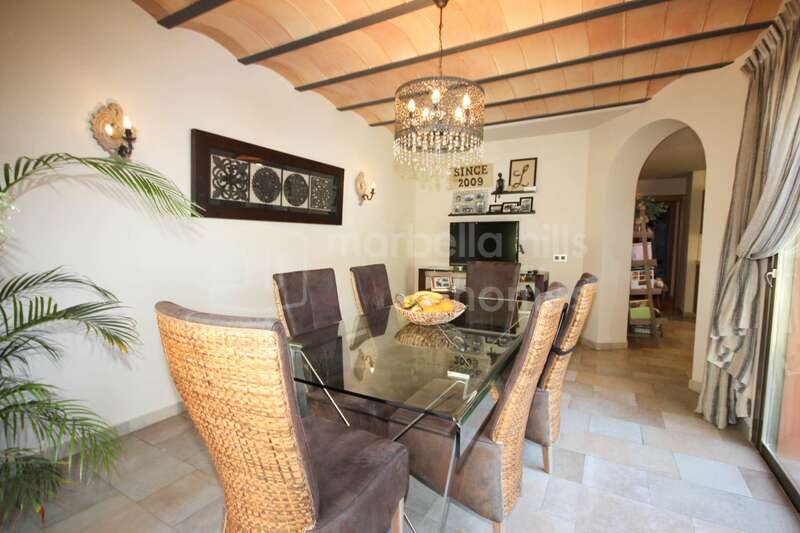 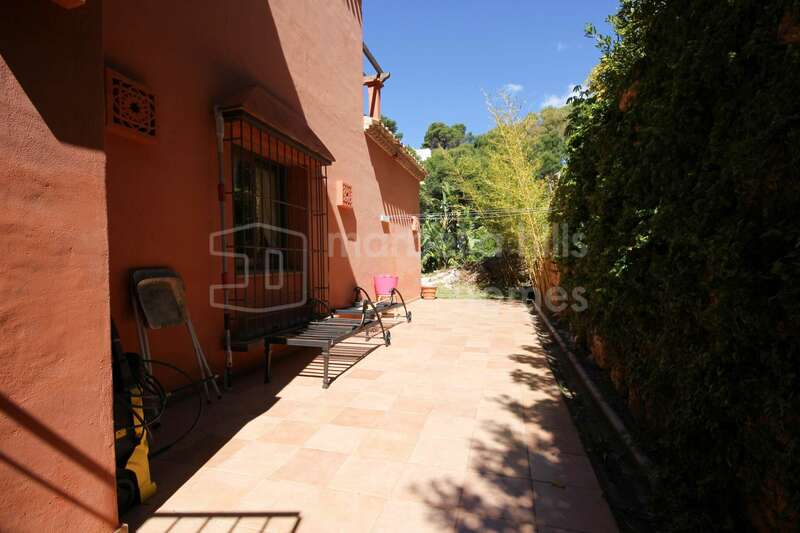 Situated in the hills of Marbella this spacious family home is perfect for someone who likes the peace and tranquillity of a natural environment combined with spectacular panoramic sea views but also wants to be close to Marbella´s cosmopolitan centre. 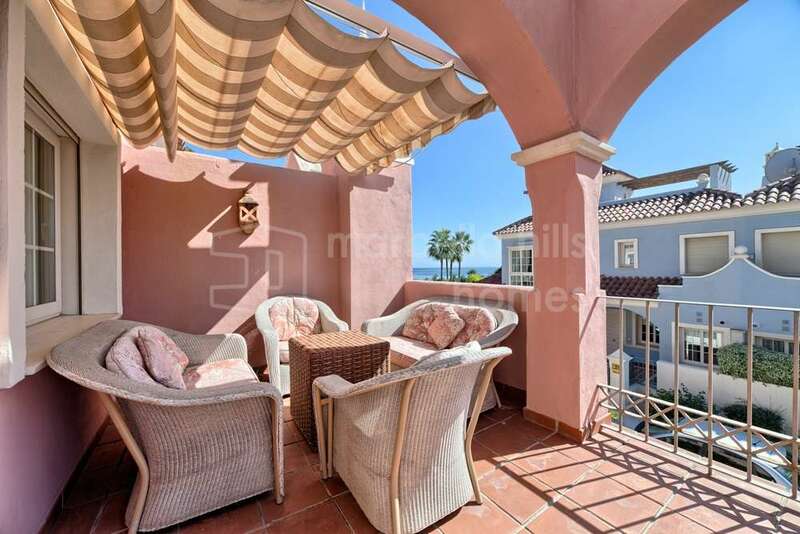 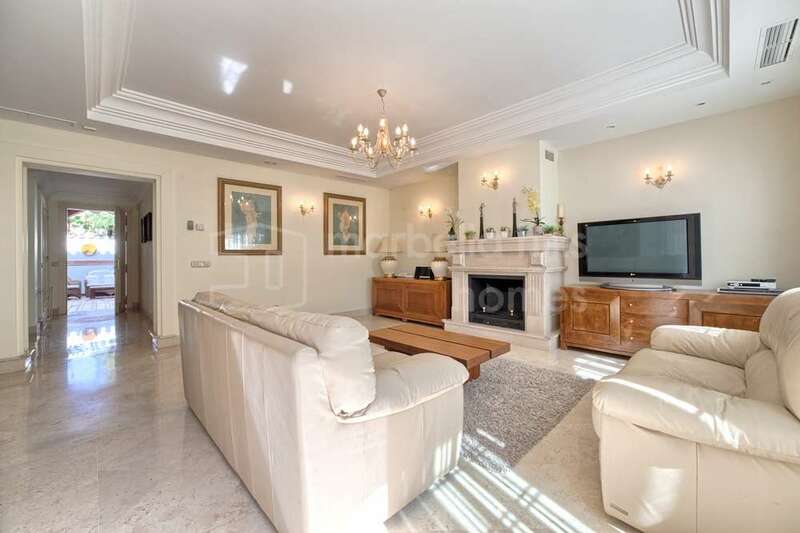 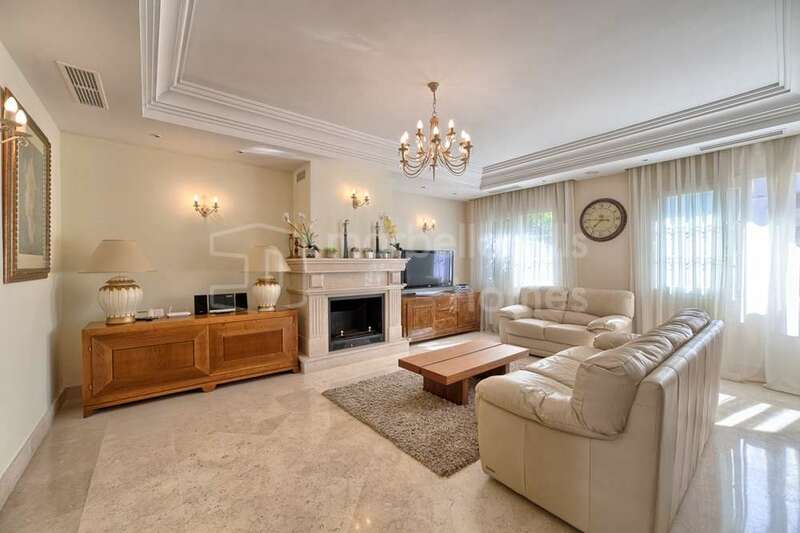 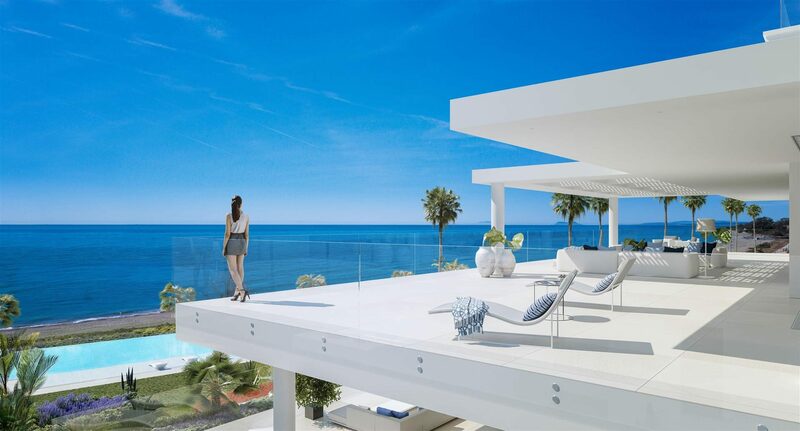 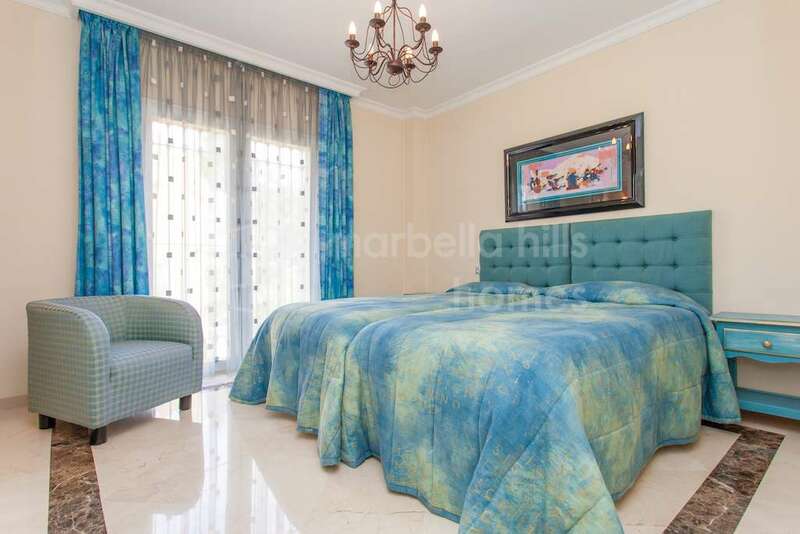 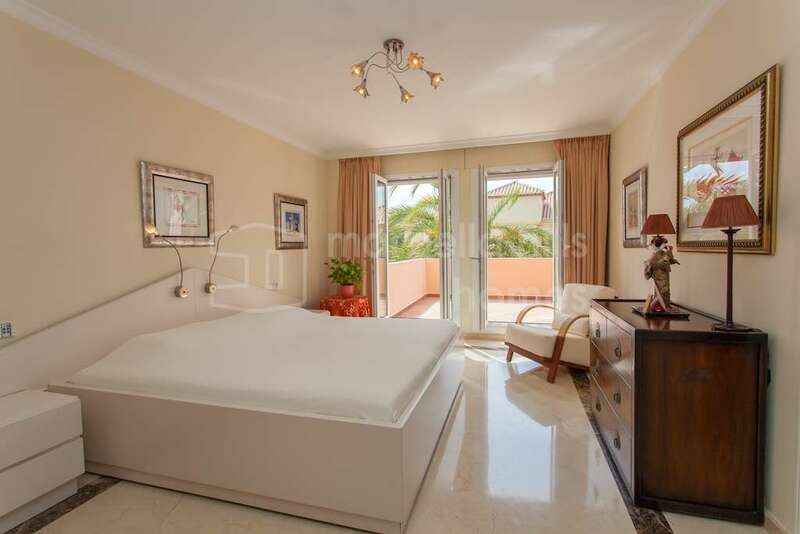 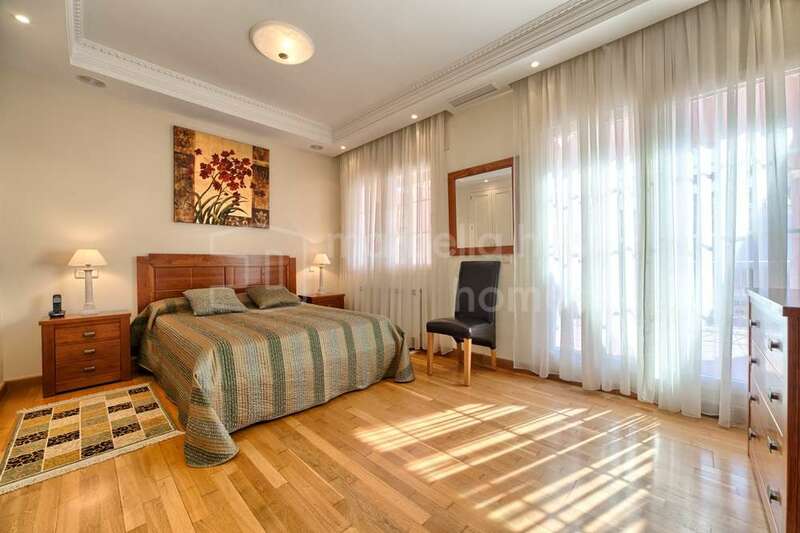 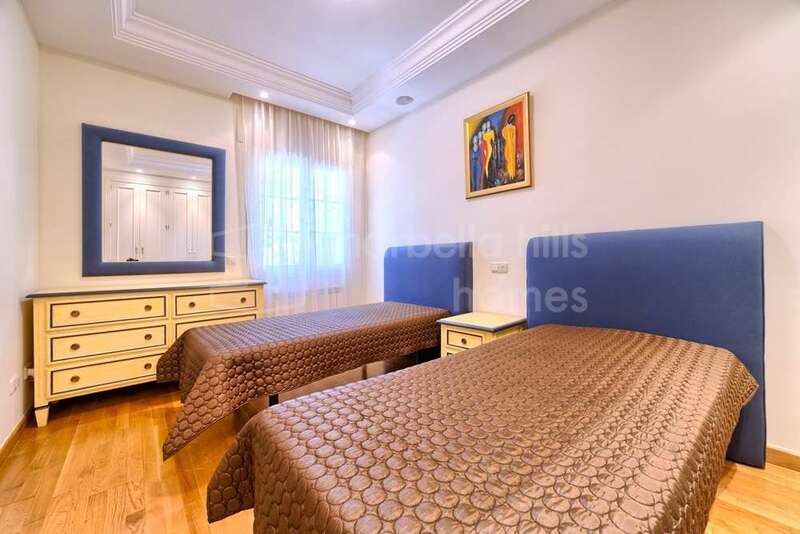 This spacious classical mansion was designed in a way, that you can enjoy from every single room a spectacular sea views above Marbella towards Gibraltar and the morrocon coast. 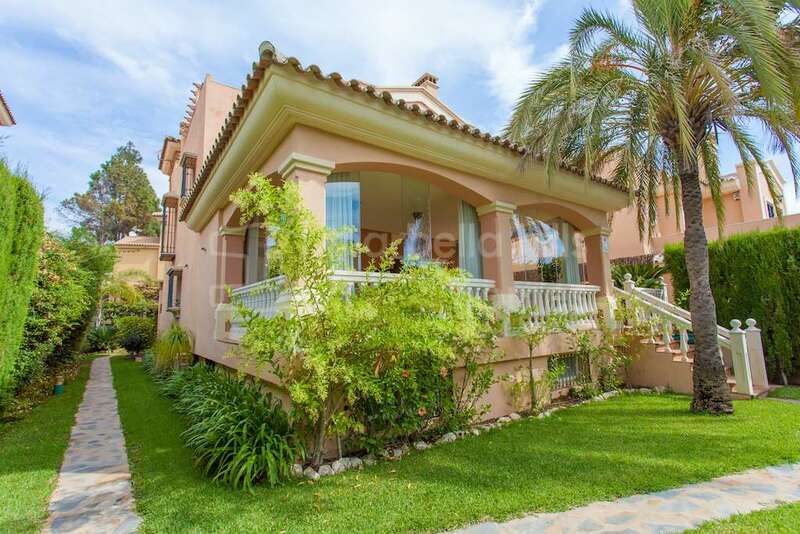 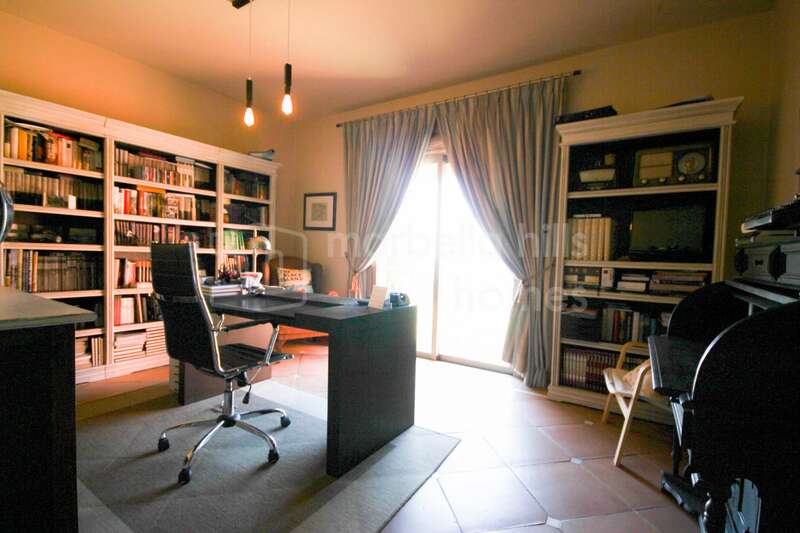 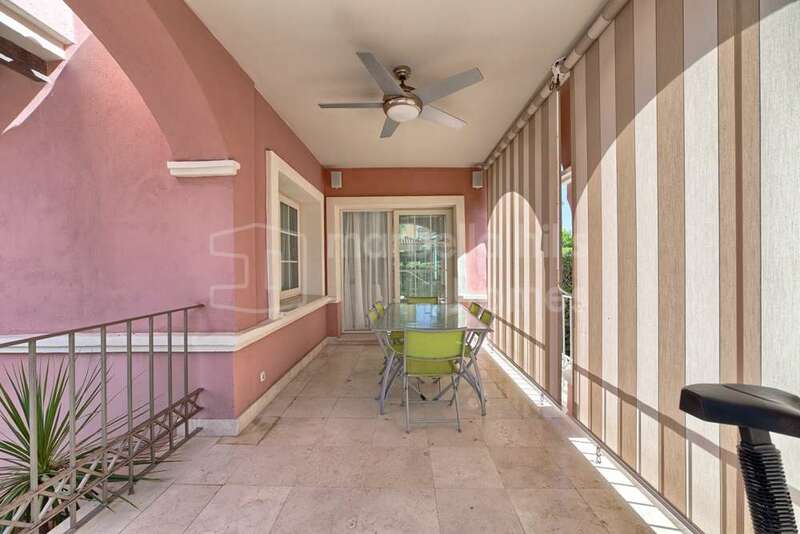 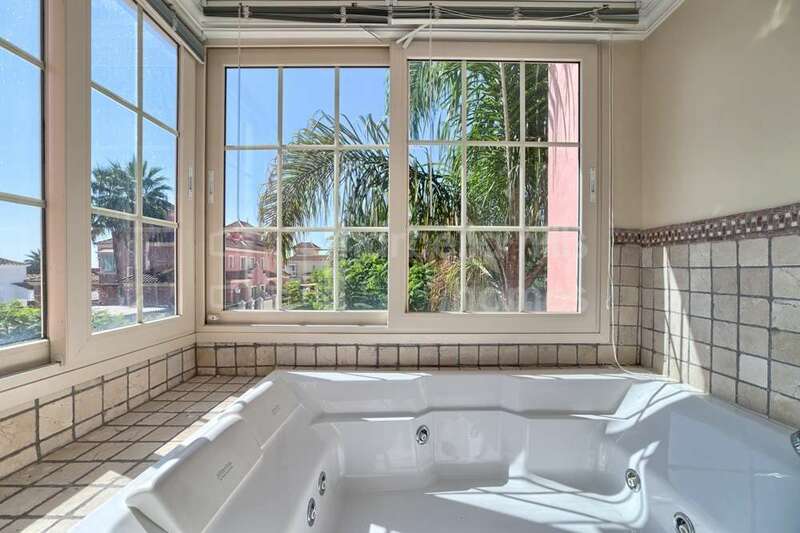 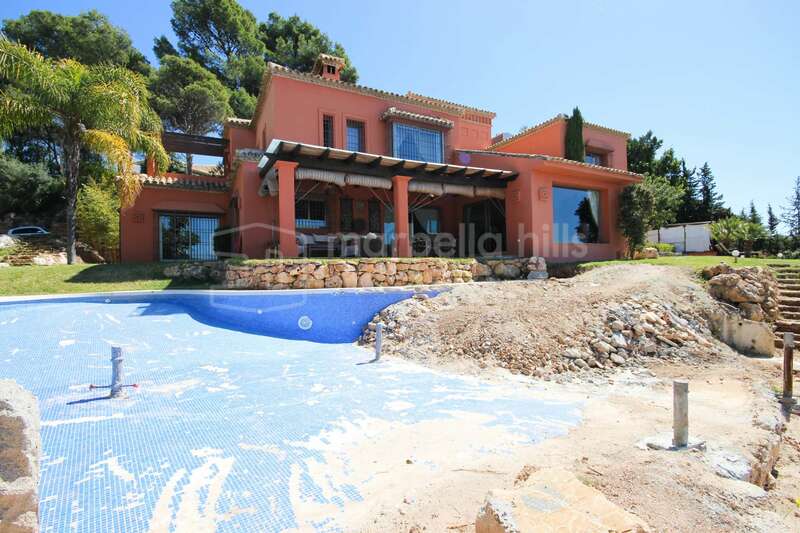 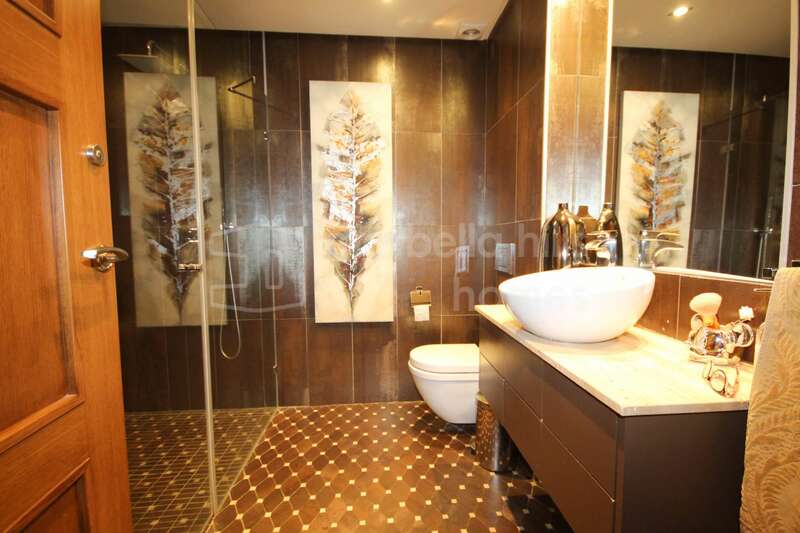 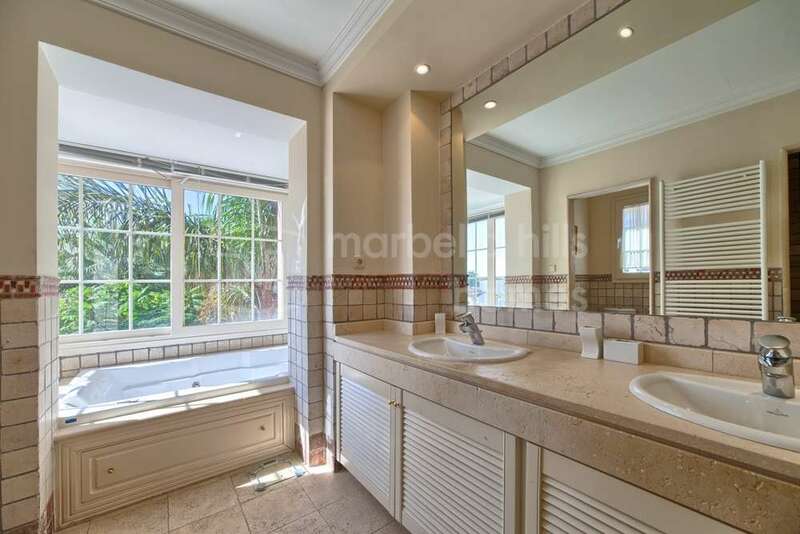 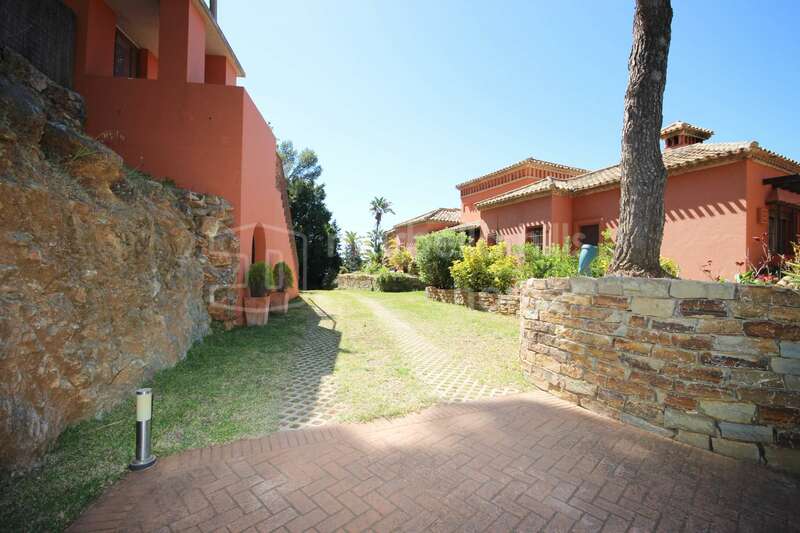 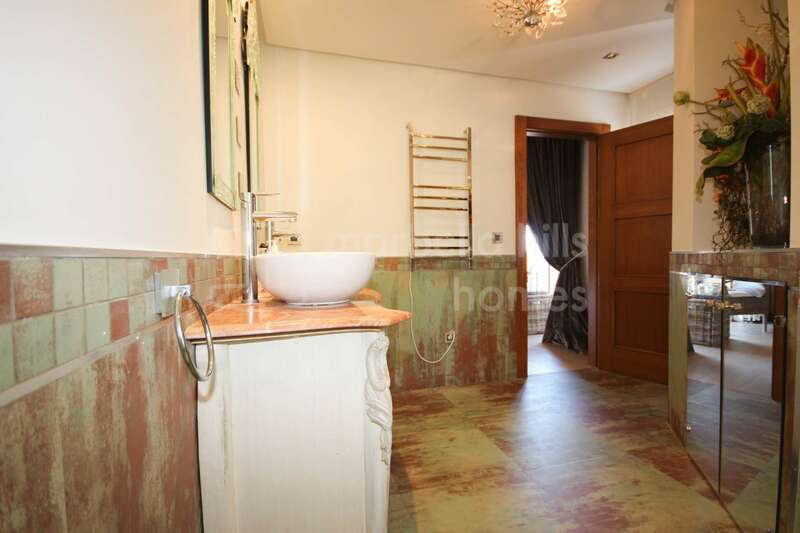 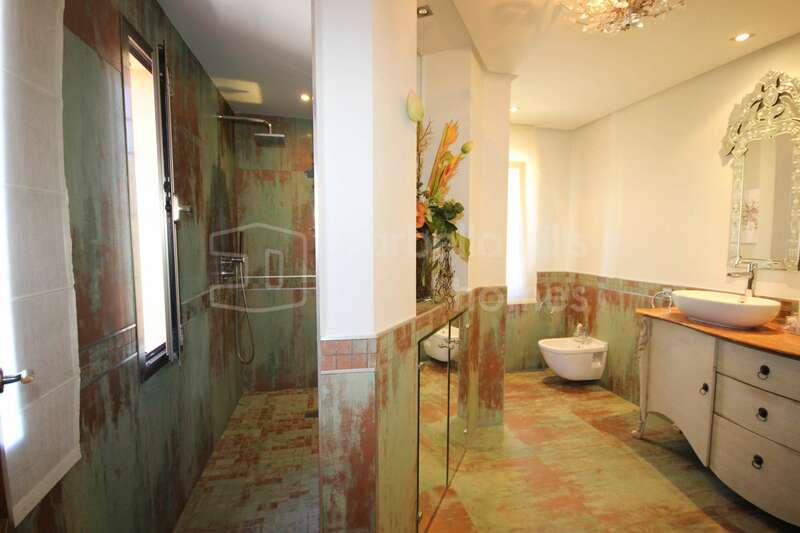 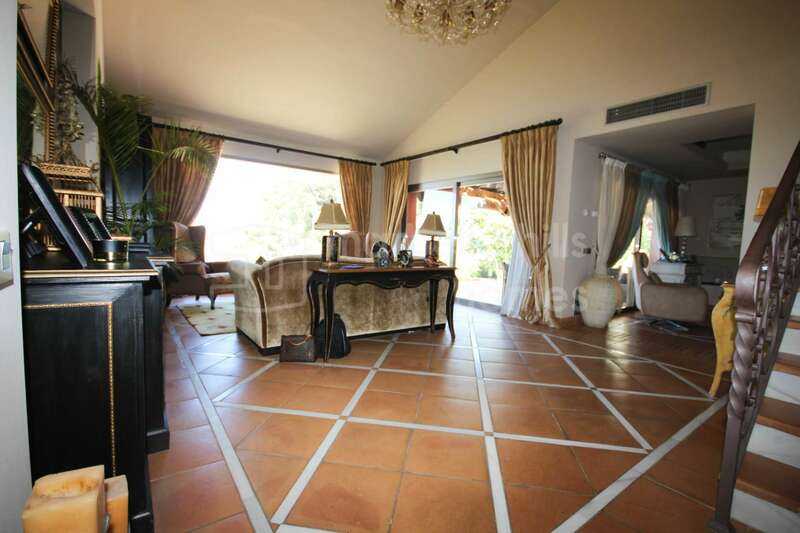 Build on two levels the detached villa comprises on more than 300m² an impressive entrance hall, on this level you will find the master bedroom with walk-in closet and en-suite bathroom, as well as 3 further guest bedrooms with en-suite bathrooms. 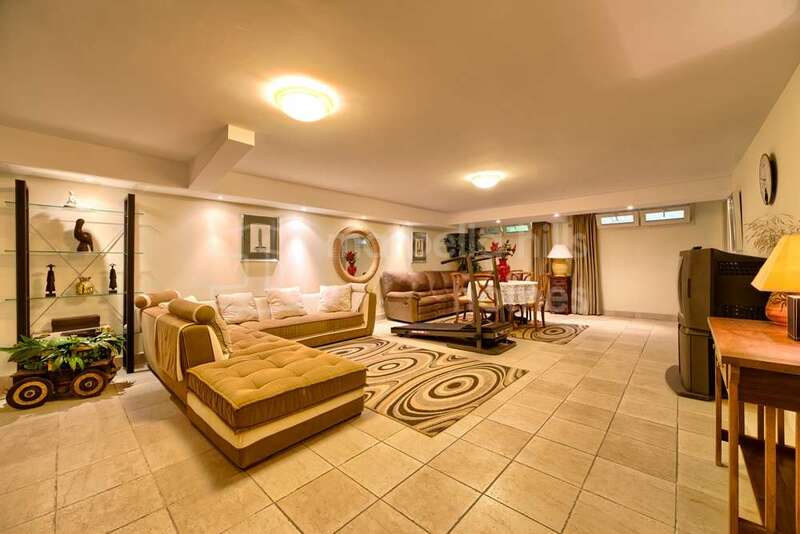 On the lower level a spacious living with a double height ceiling and access to the porch as well as and adjoining TV Room with fireplace, marvelous spacious kitchen with a separate dining room, a sitting room, a guest bathroom, a laundry room, an office, a further guest bedroom. 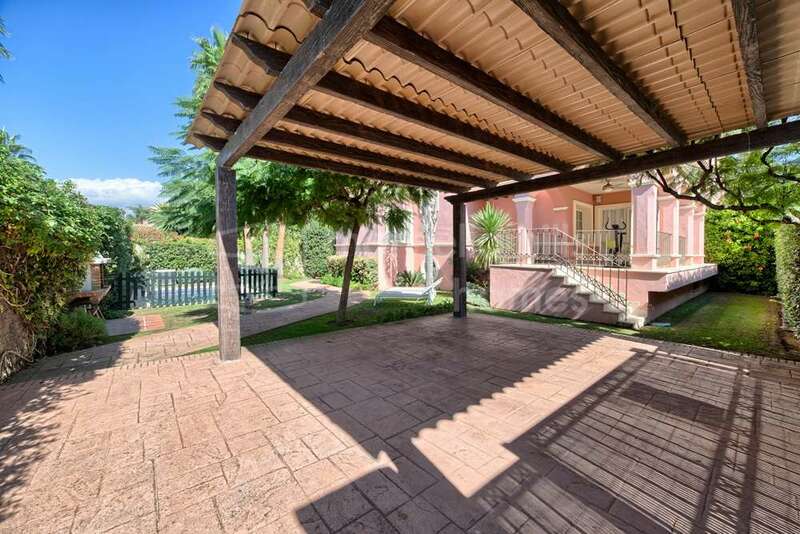 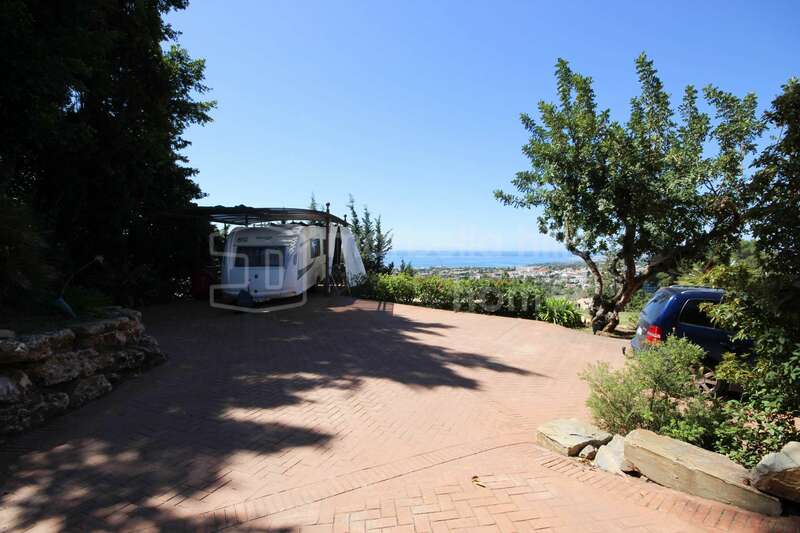 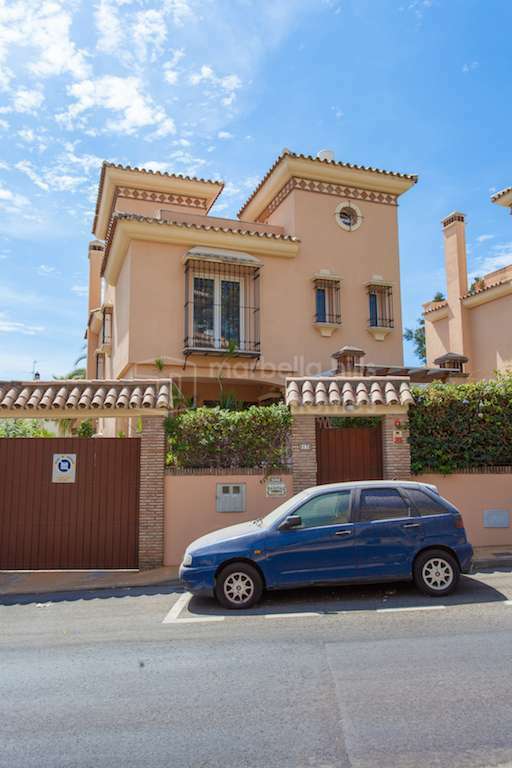 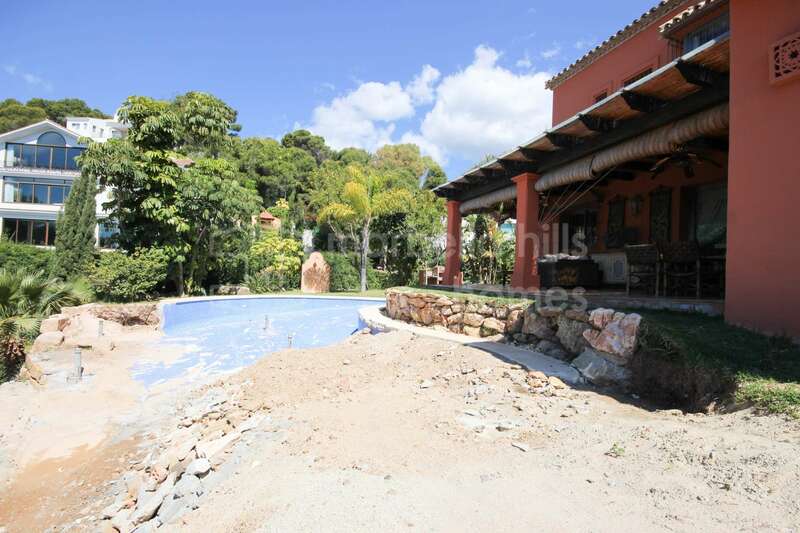 There is also a big storereoom and a garage for 2 cars plus 1 carport, the garden area also accommodates a BBQ Area and at the moment a new infininty pool is beeing build. 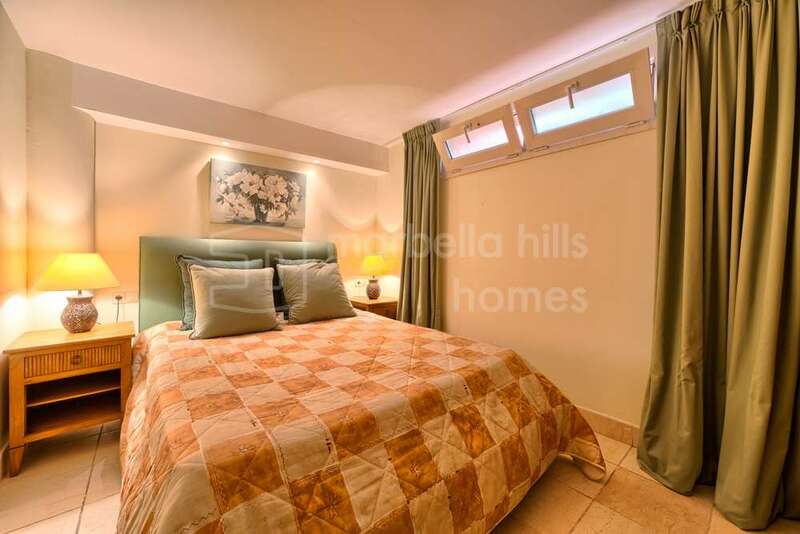 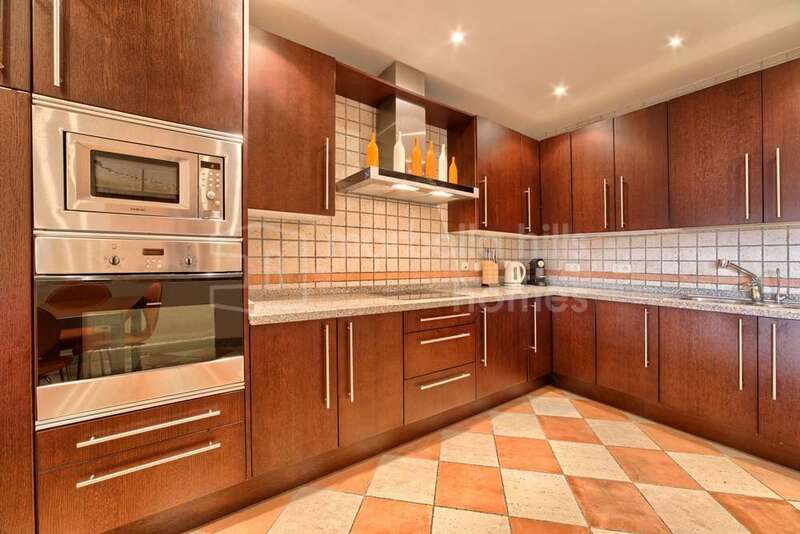 Fully fitted kitchen, Close to shops, Close to town, Close to schools, Office room, Utility room, Fireplace, Guest room, Storage room, Double glazing, Dining room, Barbeque, Mountainside, Kitchen equipped, Living room, Amenities near, Sea view, Laundry room, Covered terrace, Fitted wardrobes, Air conditioning, Panoramic view, Underfloor heating (partial), Uncovered terrace, Separate dining room, Optional furniture, Excellent condition.